What Makes The S.A.M Maths Acceleration Program Better Than Tuition? Rather than readily showing your child the answers, we ask leading questions so your child can solve the math themselves. All too often, teachers talk and explain too much. At SAM, thinking and communicating is allowed, and encouraged, and Trainers are trained to help your child self learn and think independently. What’s the difference between 6×4 and 4×6? Why do we ‘carry over’? What is ‘4 over 5’? Yes, we may know the how’s, but do we know the why’s? At SAM, we explain the why’s, so that the how’s are more meaningful and easier to understand. Maths is easiest to understand when it relates to the real world. At SAM, we use props, toys and games to physically illustrate mathematical concepts, before moving to a pictorial explanation and finally to the abstract representation of Mathematics. Cognitive skills, Critical thinking skills, Heuristic skills, Reasoning skills, the ability to hypothesize and discern, the ability to present and communicate your child solutions…. such are the skills needed to excel in any child’s future. Such are the very skills we inculcate in the SAM Approach to Mathematics. S.A.M structures your child’s long term journey in Maths. 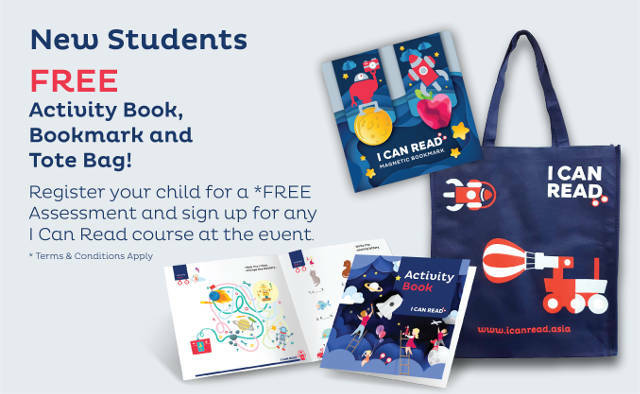 With over 30,000 pages of proprietary content organised in modules, we tailor a long term a long term program for your child, and pace the learning according to your child’s individual ability. We discuss learning objectives with you before and during this journey so that both Parent and Trainers are in sync with the objectives. 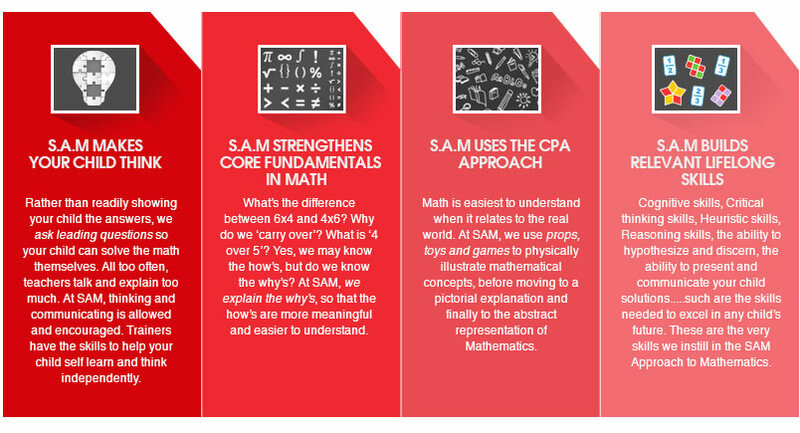 If you want your child to excel in Singapore Maths, contact S.A.M today.